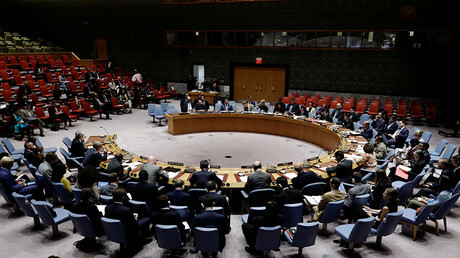 The UN Security Council has failed to adopt a new resolution on the extension of the UN-OPCW The Joint Investigative Mechanism (JIM) on chemical weapons attacks in Syria. Russia and Bolivia voted against Japan's new draft. The draft envisioned a "technical" extension of the JIM probe for 30 days, during which the UN would work out proposals on how the probe could go on in a manner that would satisfy all the Security Council members. 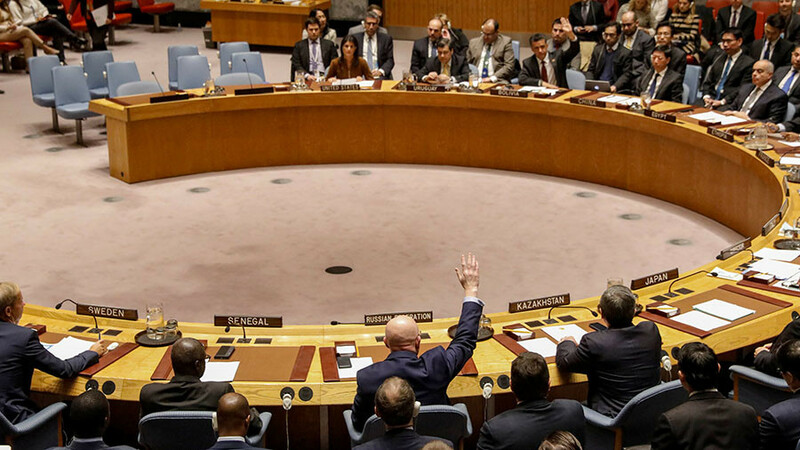 "Any extension of the JIM mandate is only possible for us if the fundamental flaws in its work are rectified," Russian UN envoy Vassily Nebenzia commented after the vote. "There can be no other way after the JIM’s leadership disgraced itself with its fictitious investigation into the sarin use incident in Khan Shaykhun and signed off on baseless accusations against Syria. "I'm not sure that those who are so fervently condemning Russia now have read the JIM report itself or our comments on it." The JIM has been investigating alleged chemical weapons attacks in Syria, including the April incident in Khan Shaykhun in Idlib province which killed about 100 people. JIM's reports have essentially been backing Washington's outright accusations against the Assad government, made straight away before any hard evidence had been discovered. Russia has repeatedly criticized the JIM mission for doing a lackluster job, failing to investigate the site of the attack itself and instead relying on unverifiable testimonies of unidentified individuals. It suggests the Khan Shaykhun incident could be the result of an explosion of a chemical agent warehouse stockpiled by militants, or a false flag operation by anti-Assad rebels. Without an extension, the JIM mandate ends on Friday, after the UN Security Council failed to agree on its extension in the previous session. On Thursday, Russia and the US both put forward rival resolutions on the JIM mission. Russia vetoed the American draft, but its own proposal subsequently failed to gain enough votes. Russia's UN envoy slammed the US draft as "unbalanced," saying its only goal was to “question the role of Russia in the process of Syrian political settlement.” Moscow's counter-proposal, he argued, was solely “aimed at the extension and qualitative improvement” of the JIM probe. In reply, the US representative accused Moscow of “undermining” the UN’s ability to prevent chemical attacks in the future.